The market had a moderate day yesterday, Wednesday (4/8). Up 47pts from Tuesday, the market experienced larger losses earlier in the week. Apparently, the market has not shed all of its losses yet. The market is closed on Good Friday and I am looking for the financial sector to gain some ground soon (Asia markets are opening higher, so that could be a good sign for the US market later in the wee). I bought some FITB (Fifth Third Bank) last week. It closed at $2.64 on Wednesday, which looks fairly low when compared to some of its rival banks. I’m keeping this stock on my radar. It may have a short term pop in the works. But that is always relative. Remember if you don’t have a stock strategy there is a 50/50 chance that a stock could go up or it could go down. So I don’t recommend stocks… I only disclose stocks in my portfolio. I suggest everyone read a book on Warren Buffett’s investment strategies. I really did not make any money in the stock market until I read his book (**For those interested in learning more about books on Warren Buffet's investment strategies, click here**). I wanted to follow up on a few points about 401ks from my last post. Many companies will make you contribute 1% to their 401k plan after one year of employment. And if you have not made elections, your employer will put your contributions in a money market account. Money market accounts are normally one of the safest investments in a plan, but you will lose the opportunity to gain greater returns in the stock market. So it pays to take control of your individual 401k plan. Most young people don’t realize that their 401k is an ASSET. I.e. when you get ready to buy a home you can borrow money from your 401k fund to help pay for fees or a down payment. Also most plans allow for short-term loans (to be repaid within one year) and if you get fired, your former employer has to pay you the money that you contributed the plan. 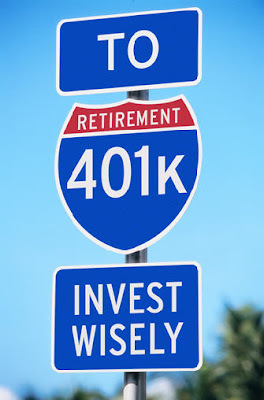 So to drive the point home, Invest in your 401k – Today. You will be thankful that you did.